The TV movie of Steve Jobs' life will be going to at least one authentic location to try tell the story. 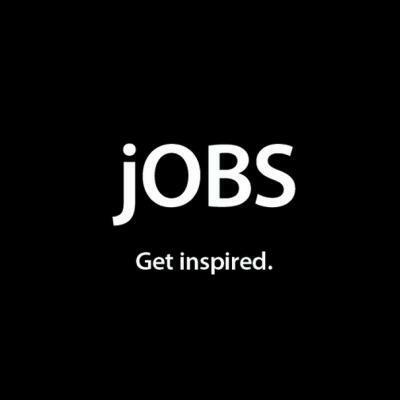 Five Star Feature Films announced this week that its made-for-TV movie, jOBS: Get Inspired.. will be filming in the original garage at Jobs' Los Altos, CA childhood home where he and Steve Wozniak founded Apple. While the press release states that the project is committed "to accuracy and authenticity," there is no word yet on what other real life locations from Jobs' life will be used in the filming. For those having trouble keeping track of the competing Steve Jobs films that are currently being worked on, jOBS is the one starring Ashton Kutcher, and before now it wasn't clear that this will be a TV film. We saw pictures just last week of Kutcher in his Steve Jobs costume, and we now know that the film will cover his life from 1971 to 2000. This means it should cover the founding of Apple, his departure from the company, the founding of Pixar & NeXT and his eventual return to his original company. The other film currently being worked on is from Sony and is the official adaptation of Walter Isaacson's biography of Jobs. Aaron Sorkin has been hired to write the screenplay, and Steve Wozniak has been brought on as a consultant for the film. jOBS is expected to air on television some time this fall while no release date has been announced of yet for the Sony project. LOS ANGELES, May 18, 2012 /PRNewswire/ — The film chronicling the life of Steve Jobs, the Apple Inc. co-founder and charismatic master of innovation, begins principal photography in June and in keeping with the project's commitment to accuracy and authenticity, will film early scenes in the actual Los Altos home where Jobs grew up and in the historic garage where he and Steve Wozniak founded Apple. Titled jOBS, the biopic stars Ashton Kutcher as the iconic Silicon Valley visionary, and will shed new light on Steve Jobs' most defining and personal moments, motivations, and the people that drove him. The film covers Jobs from his early years as an impressionable youth and wayward hippie, through his initial successes and infamous ousting, to his storybook return and ultimate triumphs as a man who set out to change the world and did just that. Executive producer Mark Hulme and Five Star Feature Films launched the production immediately following Jobs' retirement in August 2011. Screenwriter Matt Whiteley, while penning the script, utilized a team of expert researchers based on months of exhaustive research and interviews with Steve Jobs' friends, colleagues, and mentors to develop the most truthful and gripping picture of Jobs' life. jOBS chronicles the 30 most defining years of Steve Jobs' life, as seen through his, colleagues', and friends' eyes. Dark, honest, and uncompromising, jOBS plunges into the depths of his character, creating an intense dialogue-driven story that is as much a sweeping epic as it is an immensely personal portrait of Steve Jobs' life.